Article by Marivir R. Montebon, Editor of OSM! Ambassador Jose Manuel Romualdez. Picture courtesy OSM! 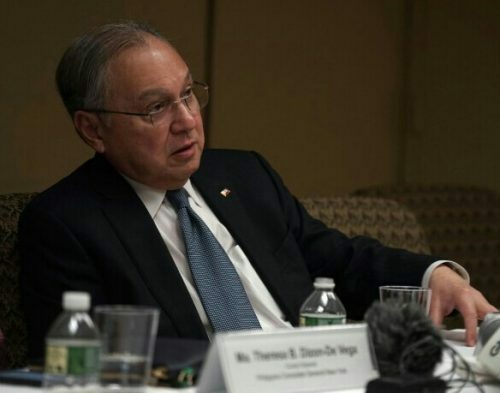 Philippine Ambassador to the United States Jose Manuel Romualdez said Saturday that Filipinos living in America should actively lobby with Congress and local officials on immigration reforms to ensure protection and intact families. This came as a response to the latest pronouncement of President Trump in his first State of the Union address to cut chain migration and limiting family petitions to spouses and children. OSM! and the WORD collaborate on various journalism, writing and multimedia journalism projects.